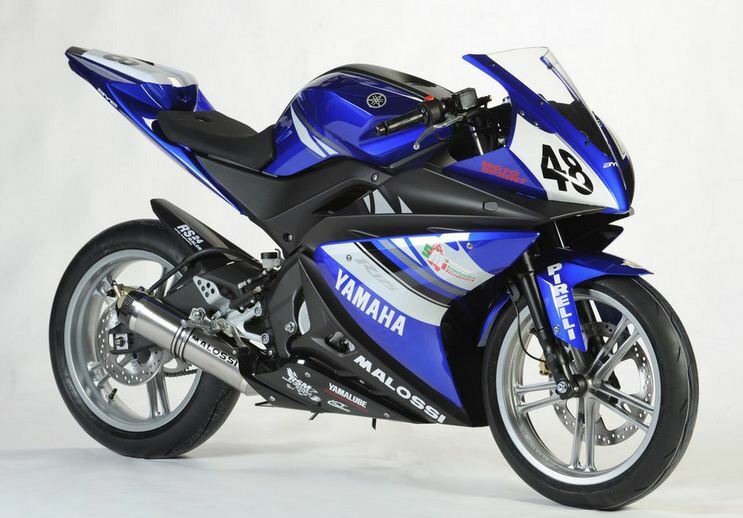 Yamaha R125 is used in some racing series we bring you the livery of Yamaha R125 bikes used in racing series from Yamaha factory team and also including and some bikes are not sponsored by factory Yamaha team. This bike is sponsored by Factory Yamaha team and is represented in Yamaha blue color.The white alloy wheels are Forged aluminium and weighs less than those seen on Yamaha R125 street bikes.The factory Yamaha R125 co sponsor is Malossi and Malossi has a private team which also uses R125 for racing.The electronics of the bike almost remain same with sight changes.The exhaust is a different one. 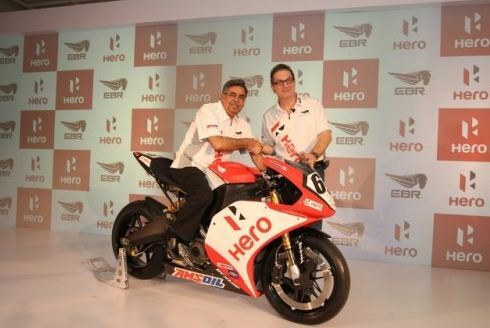 Hero Moto Corp after joining hands with EBR from USA will enter into motorcycle racing with EBR.EBR currently races its motorcycles in AMA pro racing.Shortly the EBR bikes will carry the logo of Hero.HEro moto corp becomes the first Indian automobile manufacturer to race in AMA Pro.Previously the only two wheeler manufacturer from India to race in Internationally recognized motorcycle racing is Mahindra in Moto 3 class of Grnad prix motorcycle racing with their MPG 30 race bike. The move into motorcycle racing by Hero adds lots of appeal to the Hero brand.There are chances that EBR with the funding from Hero moto and the new CRT rules which allows road going bike engine to be matched with a prototype chassis and can be raced on the grids of Moto GP.EBR can move into Moto GP by 2013 with Hero stickers on the bike. The 1199 Panigale has not yet hit the streets but that doesn’t stop it from getting it customized.But not physical customization but customization by rendering.Already there are many computer rendered 1199 panigale bikes due to the fact that Ducati bikes are well received we collected the pictures from the web and sharing at one place for convenience to have a look at the fan concepts. If you have some cash in hand and want to invest it in a car then that is the worst thing you can do. Most of the people think that a car is an investment but it’s the other way round. A car only depreciates in value. But yeah, a car can boost your social value to a great extent depending on the car but it, in any terms isn’t an investment. The real cost of owning a car is much more than the EMI’s alone, infact it can even be 2 times the EMI depending upon the car. 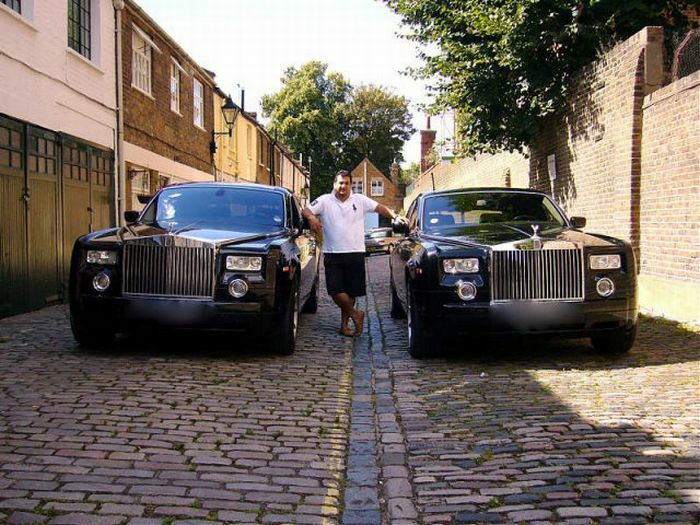 I’m writing this article to create some awareness among people about the hard-earned money they are spending on their car. Firstly you have to pay the intial amount of 10% or so depending upon the amount of loan you take(usually 90%). Everyone is aware of this. Apart from that you have to pay the insurance which is around 4-5%, the taxes such as octroi & RTO taxes which account for another 5-6% depending upon the city. Remember, all these aren’t convered by the loan and you have to shell out money from your pocket. After all this, you finally get your car out of the showroom and BOOM you have just lost 1lakh if you bought a ten lakh car, that’s what you call “depreciation”. A car constantly depreciates in value. It’s value depreciates 10% the moment you take it out of the showroom and 25-35% in the first year itself, depending on the cost of the car. The more the cost of the car, the higher is the depreciation. Next in the list is the fuel costs & the monthly EMI you have to pay for the car. If, it is a petrol car, with the current petrol prices & the uncertain future, you can expect your bank balance to take a hit everytime you refuel your car. Consider a petrol car giving a decent fuel efficiency of 12 and you travel a modest 1000km per month. So, thats 84 litres of petrol which equals to 6050Rs per month just for fuel. Now comes the maintenance, thanks to the modern engines, they are far more reliable and need not visit the workshop regularly apart from the scheduled services. Even if the car visits 2 times per year, expect to pay around 3k-15k per service depending upon your car. A Mercedes-Benz would cost you 15k per service while a Maruti 2-3k. Also be prepared to pay for accidental damages, though the modern cars are reliable, they cost you heavy in case of any accident, be it minor or major. Now comes the upgrades you want to do for your car like Music system, alloy wheels, sun-films, horn, better head-lights and the list goes on and on until your bank balance becomes zero. So, these are the real costs associated with a car which one should consider before buying. Also, you would have to pay some miscellaneous charges for parking, toll gates, traffic tickets, etc. I did not write this article to discourage people from owning a car but just to educate them about the costs they have to bear in future and thus select a car which suits them and fits into their budget. I have seen a lot of people who end up buying the wrong car and get frustrated as they can’t sell it because the asking price is too low neither can they keep it because of the high maintenance costs. So, good luck and keep all these points in mind before purchasing a new car. An article on the ownership cost of different cars in India is coming up soon, do keep checking. 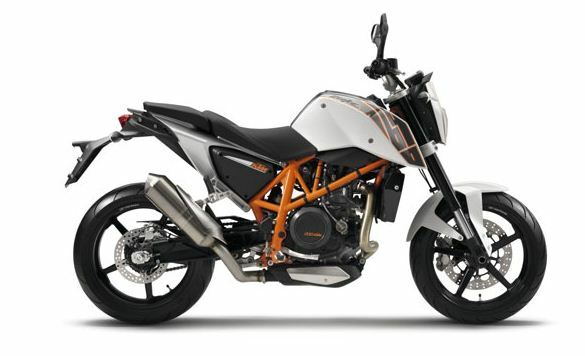 We already have a follow up post about Bajaj bikes up to 700 cc in India.However in this post we list the expected bike launches by KTM in India with the partnership of Bajaj are shown.KTM is well known around the world for their endurance and Moto cross bikes.There are speculations about the possible bike launches by KTM in India in the coming years in association with Bajaj India who holds a 40 percent stake in the company.All these KTM vehicles will be available through KTM stores which are previously Pro-Biking showrooms.Bikes launched by KTM up to the displacement of 700 cc wil be manufactured in India by Bajaj at Bajaj’s famous Chakan plant. It has been a month and a half since the beginning of the new year and we already had a big release in the form of the all new Swift dZire and that’s not all, the Indian Automotive Industry is ready with a whole new line up of cars to be launched later this year. It is to be mentioned that 2012 is going to be the year “Compact Sedans”). Even the new dZire is a CS. Cars less than 4 metres in length are known as Compact Sedans(CS). The Indian Govt. gives a 12% relief in excise duty for cars that are less than 4 metres in length and have an engine capacity less than 1.2(for petrol) and 1.5(for diesel) in order to promote small & fuel efficient cars. The excise duty on other cars is 22% where as it is 10% fot these CS’s. It is to be remembered that the Indigo CS was the first compact sedan to be launched in India followed now by the dZire. The 12% difference is a lot in the huge auto industry which is making all the other manufacturers turn towards the compact sedans.